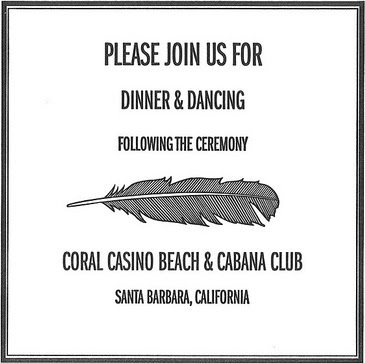 This past weekend, my good friends were married here in Santa Barbara and in all the whirlwind I forgot to share their invitations, which I loved... elegant and simple letterpress by Traction Press in LA. It goes without saying how much fun we all had...especially me through my lens. And ooh! I photographed their invitations. I should send so you can post here. Hi Raya! Yes, it was incredibly fun... you did an amazing job photographing as well. I know they will be so happy with the outcome!